FAIRBORN – The annual Fairborn Battle of the Badges Blood Drive with Fairborn and Wright-Patterson Air Force Base firefighters competing against the Fairborn police will take place from 8 a.m. to 12 p.m. Wednesday, July 1 at American Legion Post 526 on 526 Legion Lane. 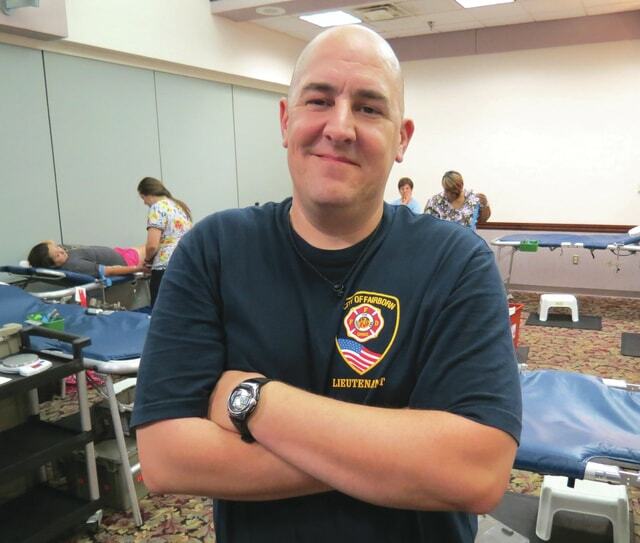 Fairborn Police won the Battle of the Badges Blood Drive in 2014 by a single vote. Maintaining the blood supply can be challenging during the July 4th holiday period and the summer months in general due to vacation travel and other changes in schedules. Everyone who register to donate can cast a vote for their favorite public safety crew and will have a chance to win a deluxe Hawaii vacation for two. Everyone who registers to donate will receive a free “Donor Surf Co.” surfboard T-shirt, and everyone age 18 and older will also be entered in the Community Blood Center (CBC) “Get on Board – Give Blood Summer Blood Drive” drawing to win an expense-paid Hawaii vacation. Donors are encouraged to schedule an appointment online at www.DonorTime.com or call 800-388-GIVE. If you have to miss an appointment, CBC encourages you to reschedule when you are able. CBC encourages the continued support of type O whole blood donors and type A/B platelet and plasma donors. The grand prize in the “Get on Board – Give Blood Summer Blood Drive” includes air travel and deluxe accommodations for eight nights at two island locations. All taxes, fees and meals are included. The vacation package also includes pre-paid activities and sight-seeing excursions, plus all ground transportation.